Finding the right triathlon bike for you can seem difficult and daunting. 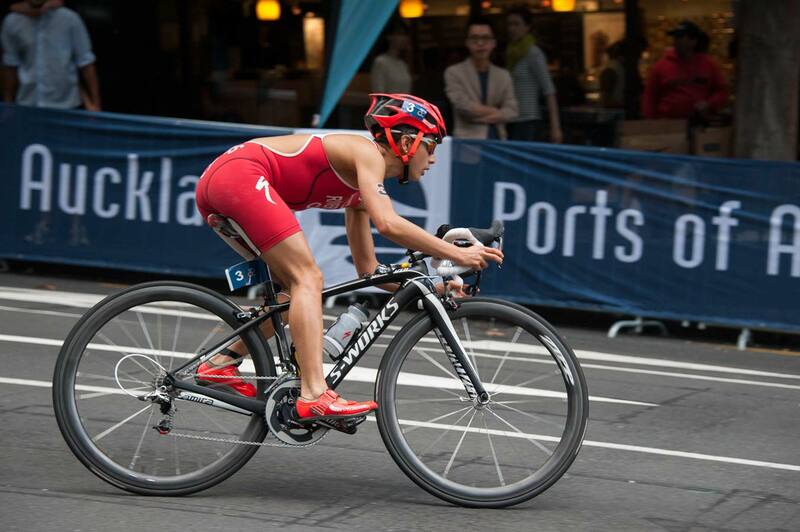 Find out how to choose a triathlon bike in this handy guide from USA Triathlon. The bike is the most gear-intensive discipline in triathlon. Whether you’re a novice or a seasoned veteran, deciding how to choose a triathlon bike (and the seemingly endless associated gear) can be intimidating. Take heart – as with other equipment, you can start with the basics. Match your experience and skill level to your purchases. Bear in mind that virtually every part of your bike can be upgraded when the time is right for you. When trying to determine how to choose a triathlon bike first establish a bike-buying budget. You can buy quality entry-level road and triathlon bikes for between $1,200 and $1,500. When establishing your budget, remember to figure in costs for accessories. Basic equipment includes a helmet, pedals, air inflation device, spare tubes, patch kit, seat bag, water bottles, footwear, and clothing. Your budget will narrow your bike search. You won’t generally have to worry about which frame material is best to buy or whether the bike has specific components; the price range you choose will include or exclude many of those choices for you. As a rule, manufacturers have bikes along the cost spectrum to match an athlete’s experience and skill level. More expensive bikes are geared toward increasingly more experienced athletes. Regardless of whether you aim to purchase an entry-level or high-end bike, each part of a bike is upgradable. However, just because a part costs more does not mean it is the best choice for you. With the help of your bike shop pro, you can add, swap out, and upgrade components as your skill level progresses. Before we look at specific bike parts and what you should know, let’s address the question of which bike to use – a road bike (figure 1.6) or a triathlon bike (figure 1.7). If you will only own one bicycle, the most versatile option is to purchase a road bike, especially if you use the bike outside of triathlon or live in a hilly area. Later you can add aerobars or racing wheels and potentially upgrade components. The L1R is a UCI-approved frameset composed of 60T carbon fibre formed with Reactive Pressure Molding for optimal stiffness, lightweight, and all-around performance. It was created with the philosophy of Shape-Specific Design in which every tube is crafted with attention to shape, weight, functionality, and stiffness. The most versatile bike choice is generally a road bike. Road bikes are specifically designed to be used across varied terrains. The neutral geometry and availability in many sizes make a road bike an excellent first choice for the multisport athlete. Figure 1.7 a Quintana Roo PRsix Triathlon Bike. The triathlon-specific bicycle (figure 1.7) is best used as a tri bike for riding in the aerobars on flat to moderate climbs. Everything about the modern tri bike is designed to be aero and fast and provides the optimal choice for racing. It can pose challenges for training if you live in a region with hilly or mountainous terrain. Table 1.2 compares the characteristics of road bikes and tri bikes. a Quintana Roo PRsix Triathlon Bike. The PRsix is a superbike with everything you need and nothing you don’t. Aero, agile, simple, light. This bike is fully adjustable to fit your needs and requires only two wrenches to assemble, making it easy to transport to any race. As the participation of women in triathlon and cycling has grown in recent years, manufacturers have responded by offering more bikes designated as women specific (figure 1.8). For some of these brands, women-specific models are bikes painted in feminine colour schemes and modified with shorter cranks, narrower handlebars, and a woman-specific saddle. Other bike companies have chosen to make women-specific geometries with corresponding women-specific components. Generally, these bikes are marketed to women under 5 feet 5 inches in height. Even with a women-specific bike, there is no guarantee that the cranks, handlebars, and saddle are right for you. You can customize almost any bike with different length, width, height, and weight components to fit your needs. Here’s how it works. The CD0.1 Camo uses QR’s exclusive 18-millimetre offset downtube shift that diverts concentrated airflow away from the drive side to produce a measurable bike-course advantage for every athlete at every level. Women-specific bike. Courtesy of American Bicycle Group. – Pro Triathlete, Cait Snow. Courtesy of American Bicycle Group. Traditionally, there are two ways of sizing a bike. The first is a measurement using seat tube length, and the second is by top tube length. The issue with both of these measurements is that manufacturers independently decide how the two lengths are measured. As a result, the parity of measurement between bike brands is inconsistent at best. To achieve parity, a method of standardizing sizing, called stack and reach (figure 1.9), was developed by industry veteran Dan Empfield. Today most bike professionals use stack and reach to compare bike sizes and determine fit. Figure 1.9 Stack and reach. Adapted, by permission, from D. Empfield, 2003, Stack and reach primer: Chapter one. [Online.] [January 13, 2015]. Reach is the horizontal length from the centre of the crank spindle to the centre-top of the head tube. Stack is vertical height between these two points. Stack and reach numbers can be measured and compared to any bike brand and model. This means that you are free to choose from any bike brand, regardless of female-male designation. With the help of a professional bike fitter, you’ll be able to customize your bike, setting it up with an appropriate saddle, handlebars, and other parts to best fit you and your riding needs. While a women-specific bike might feature a colour scheme that you like, unless you are particularly petite you do not have to purchase a women-specific bike. Compare bikes of similar prices, test ride, and go with the bike you like best, regardless of female-male designation. This guide on how to choose a triathlon bike was based on an excerpt from The Women’s Guide to Triathlon. The Women’s Guide to Triathlon presents female-specific training, techniques, and equipment for triathlon. Guided by the USAT Women’s Committee, whose goal is to encourage women’s participation in the sport, 20 of the sport’s top female coaches and athletes offer their winning advice.